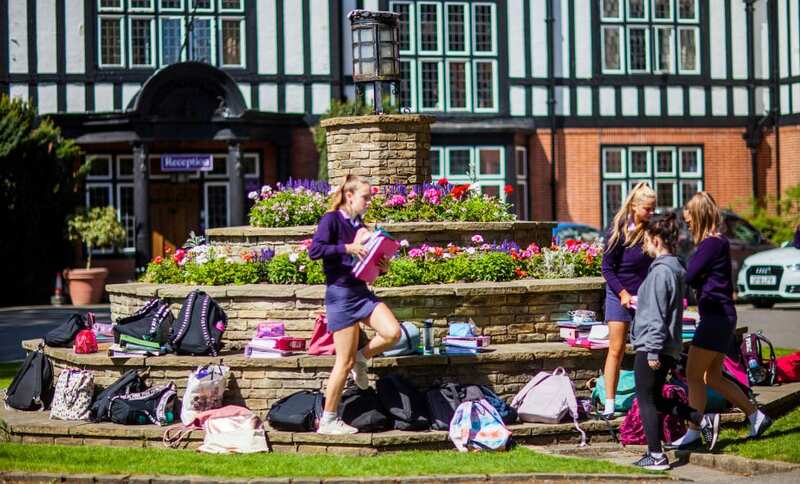 A typical school day at Queenswood is busy, varied and hugely enriching, with a balance of formal lessons, study, tutorials and a host of other activities. Day girls arrive for registration by 8.20am. All pupils then attend Chapel or a tutorial. The teaching day starts at 8.50am. Lunchtime lasts from 1.15pm to 2.30pm, allowing time for additional music lessons, match practices or other activities. Following afternoon lessons, tea is available at 4.30pm, after which girls are strongly encouraged to take part in the rich co-curricular programme (Monday–Friday). Most day girls stay at School until 6.00pm. However, if they do not have an after-school commitment, they may leave at 4.40pm, School transport leaves Queenswood at 6.00pm Monday to Thursday and at 4.30pm on Friday. Supper is available from 6.00pm and boarders are free to enjoy our extensive grounds and facilities in the evening.